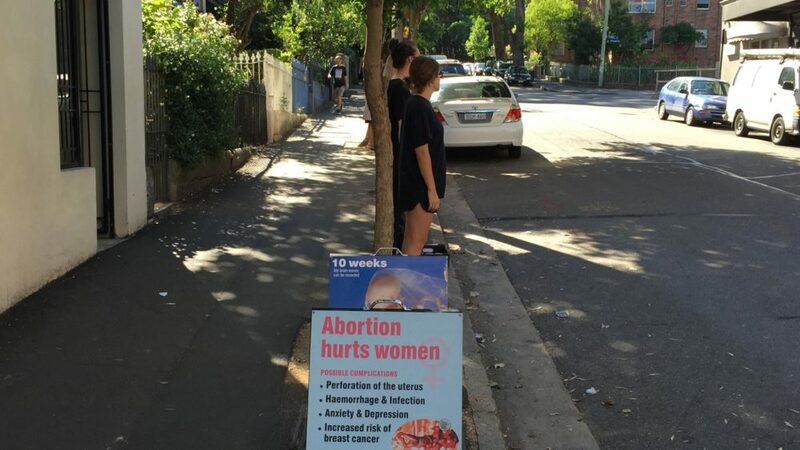 A sign outside a Sydney abortion clinic, from the Helpers of God's Precious Infants, an anti-abortion group. Abortion clinic exclusion zones have been ruled constitutional in a High Court decision handed down today. A full bench of the highest court in Australia heard oral arguments in October, when Kathy Clubb – an anti-abortion activist – challenged exclusion-zone laws around Victorian abortion clinics. Under the laws, anti-abortion activists are not allowed to protest within 150 metres of abortion clinics. Clubb argued this is unconstitutional because the laws limit the implied freedom of political communication. The High Court also heard arguments from another anti-abortion activist Graham Preston, who challenged the validity of similar exclusion zone laws in Tasmania. In its decision, the High Court rejected the challenges to both the Victorian and Tasmanian legislation. The court also rejected the argument that anti-abortion communication was most effective when it occurs near an abortion clinic, referencing ‘Brown v Tasmania‘, a 2017 case that dealt with whether legislation seeking to end dangerous protests relating to Tasmania’s forests infringed on the implied freedom of political communication. The court effectively dismissed Clubb’s claim that her activities outside the abortion clinic were a form of political communication. “It is within those zones that intrusion upon the privacy, dignity and equanimity of persons already in a fraught emotional situation is apt to be most effective to deter those persons from making use of the facilities available within the safe access zones. This, after all, is the very reason for Mrs Clubb’s activities. Responding to the High Court ruling, the Australian Christian Lobby’s managing director, Martyn Iles, said it was a sad day. Several groups, including ACL, contributed funds to assist the defence. 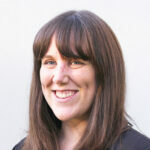 Clubb was the first person to be convicted under Victoria’s abortion protest laws, which came into effect in May 2016. She is a member of the Helpers of God’s Precious Infants, a group well known for gathering outside abortion clinics to pray for the women who enter. Some members of the group carry signage boards with pictures of foetuses. A mother of 13, Clubb was arrested for breaching the 150-metre exclusion zone outside the East Melbourne Fertility Control Clinic in August 2016, where she handed a pamphlet to a couple outside the fertility clinic. She was fined for the breach by a Melbourne magistrate in October 2017. Clubb did not dispute that she breached the exclusion zone, but appealed the magistrates decision to the Supreme Court of Victoria. Victoria’s Attorney-General then applied to have the case transferred to the High Court. Clubb had described the High Court challenge as a “David and Goliath fight, for which much prayer and wisdom is required”.